When Tiger Woods won the Masters on Sunday he made a lot of people happy, with friends, family, and fans all joining together to celebrate Woods’ ascension back to the top of his sport. But it’s likely that nobody was happier with Woods’ win than James Adducci from Wisconsin, who placed an $85,000 bet on Woods to win the Masters. 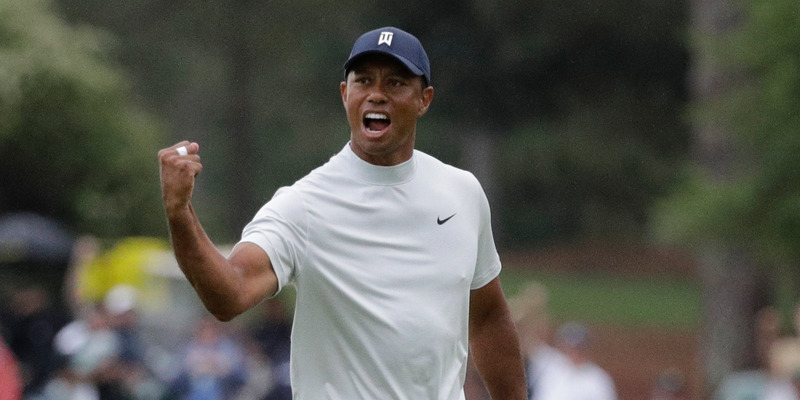 “If I saw Tiger, I would tell him that I understood the pressure he must be under, because I, for a moment in time, felt it too,” Adducci told Darren Rovell of The Action Network. On Monday, Adducci was in Las Vegas to cash his ticket at the William Hill Sports Book at SLS Casino. While speaking with reporters, he revealed some shocking news, claiming that this was the first bet he’d ever made on sports.